You know, Halloween is a time of celebrating the supernatural for most people. It’s a time when we get dressed up and enjoy a bit of the macabre, putting up decorations of skeletons and donning our best zombie outfit. However, another part of Halloween, or All Hallows’ Eve, is time for an excuse for us to watch some good old horror. So, I thought I’d talk today about three great horror films – including comedy horror – to watch this Halloween season. **Updated: This section made reference to Venom not doing too well and, whilst it’s not exactly blown records here in the UK, it’s not done as badly as I had initially researched. Apologies! Also, changed a word in the second paragraph. Right, let’s start with the obvious one – Halloween! With the recent release (and box office success) of the new 2018 Halloween film, it’s no surprise we had to mention this one first on the list. Nevertheless, Halloween has done remarkably, when you consider previous releases. The previous batch of Halloween films directed by Rob Zombie weren’t hugely popular. So when 2018’s Halloween was discussed, I’m sure there were plenty of people scoffing over the idea of yet another Michael Myers movie. Indeed, Halloween has had so many sequels and reboots, it’s beginning to feel like the real horror behind the series is the fact it won’t stop! Having said that, apparently this time around, the reception has been very positive. Unlike previous incarnations where the casting, or the actual story was questionable at best, it appears you can’t beat the classics. Bringing back Jamie Lee Curtis and Nick Castle apparently was a great idea, as the two have been lauded for their performances. Some reviewers have even said the film for fans, however turned out to be a genuinely excellent horror film in the process. So if you’re looking to head to the cinema this Halloween, get going. Why are you still here? Oh right, the rest of the article. We’re moving away from the serious horrors into some silly, weird territory now. I decided that Halloween, whilst great fun for being a night of horror, is really not quite that horrific. I mean this is a holiday that, like many others, has been commercialised so heavily, that you might as well have a bit of a laugh with the spirit. So, when I thought about funny horrors, this was one of my first thoughts. Trick ‘r Treat is one of those cheesy films that you see once, laugh about and probably tell people about. 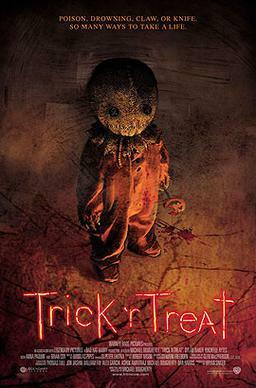 It’s an anthology, meaning that the stories told within Trick ‘r Treat are not contained to one singular story. Instead, all of the characters drive around a central character called Sam who wears a burlap sack. Sam dictates what the rules are, the kids and actors involved are then affected by Sam – and it all takes place on Halloween. Worthwhile watch, great fun. Don’t lambast me with bad comments – This is sold as a comedy horror film and it’s genuinely the epitome of what I love about Halloween. It’s campy, it’s silly, it’s fun and there is some genuinely excellent performances by the Sanderson Sisters. The trio of eccentric witches are exactly what we want out of the season – A chance to embrace what makes us all a unique bunch of oddballs. I put Hocus Pocus as the final entry today, as I didn’t want people to read yet another article telling you how good it is, because I am sure you already know how good this film is. In all honesty, if you want some genuine horror during the spooky season, you should go and check out the 2018 Halloween reboot to see what all the hype is about – But, sometimes, you just want to stay home with the lights off, some popcorn and a great classic film. 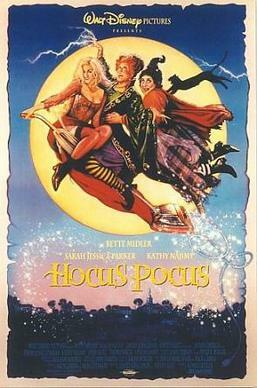 Hocus Pocus is that great classic film for the season. What’s your favourite horror film to watch during the Halloween season? Do you watch many horror films and if so, what’s your favourite horror franchise? Is there any film you really enjoy to watch during Halloween? As ever, share your thoughts in the comments below, or over on Facebook and Twitter. This entry was posted on October 23, 2018 by Timlah. It was filed under Entertainment, Film and was tagged with comedy horror, Films to watch on Halloween, halloween 2018, halloween film 2018, Halloween Films, Hocus Pocus, michael myers, Trick 'r' Treat. Is it doing that poorly across the pond? It’s been quite successful here, dropping to third this past week after two straight weeks at #1. And worldwide it has brought in $460m+ in three weeks putting it as an overall win for Sony. From a quality standpoint, I found it to be quite fun with a solid performance from Hardy and solid action set pieces. As for Zombie’s Halloween films, I hate them but they were by no means unsuccessful. Zombie’s remake was, until this (much superior) release, the most successful box office take in the franchise (unadjusted for inflation) and his sequel, while less successful, still made a good chunk of money. Now critically, they were both nightmares but retroactively it seems people are turning on them in a positive direction (I think they’ve been poisoned… it is the only explanation). Anyway, this new Halloween is well worth a Halloween viewing. It is a fantastic entry in the franchise that blazes a new (rebooted) trail while still celebrating everything that has come before it.